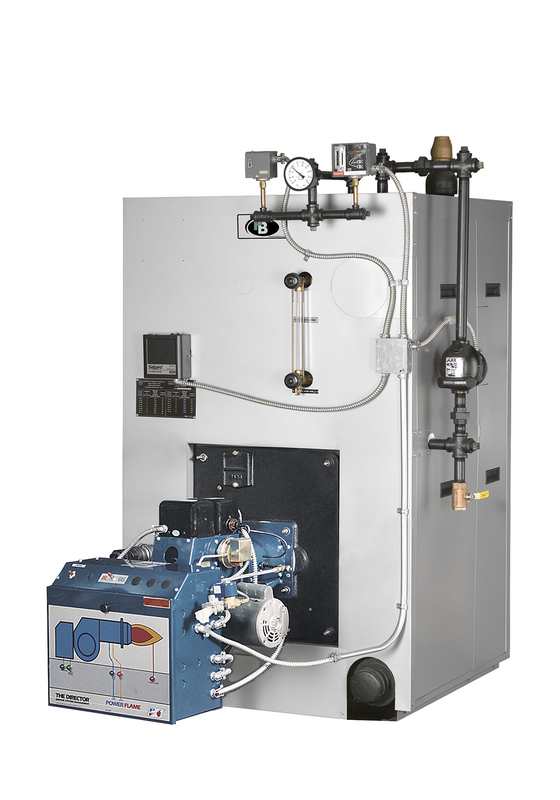 The Series TCII™ cast iron boiler is a steam or hot water commercial boiler for gas, oil or combination gas/oil-fired applications designed for higher efficiencies. The boiler is available in 15 sizes with inputs of 1,143 MBH to 5,553 MBH and thermal efficiencies of up to 85.8%. The superior design of the boiler features flexible graphite port connectors and individual draw rods for easy installation and a tight secure fit between sections. 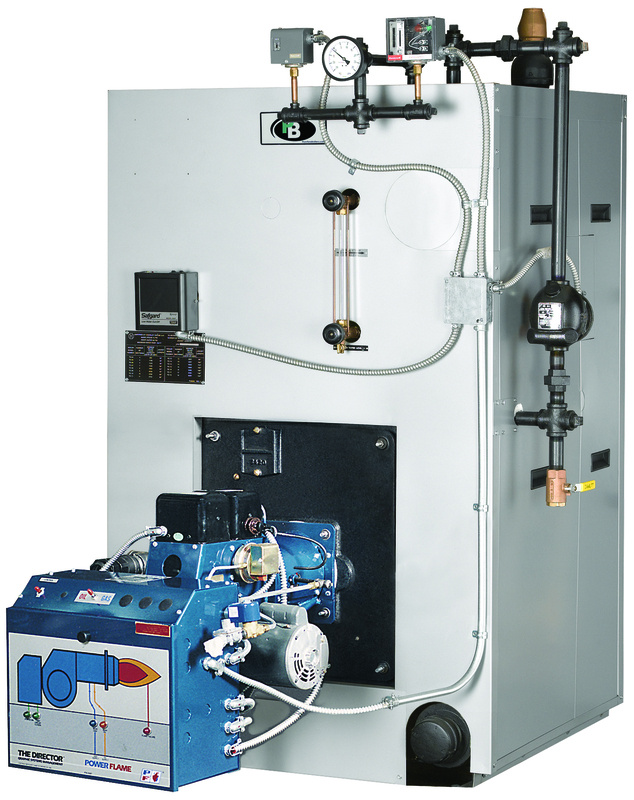 In applications where domestic hot water is required, tankless coils can be added. Net Water Ratings are based on allowance of 1.15. 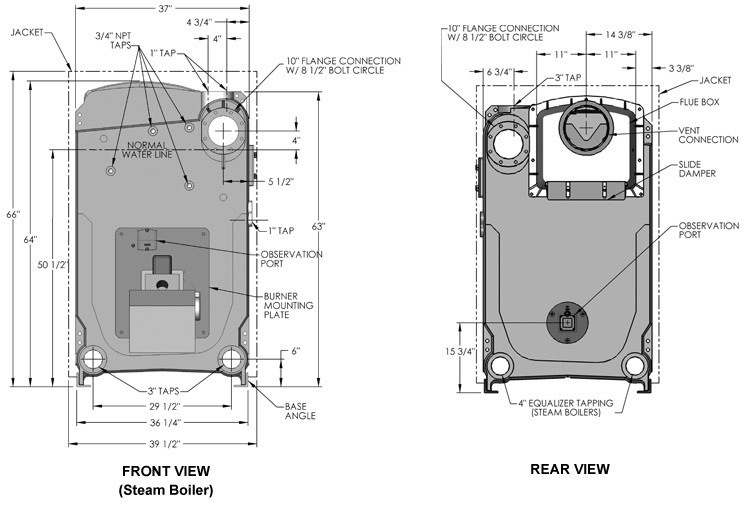 Net Ratings for steam boilers are based on piping and pick-up factor as follows: 4 and 5 section = 1.333, 6 and 7 section = 1.305, 8 section and larger = 1.288. Light oil having a heat content of 140,000 BTU/Gal. Gas having a heat content of 1,000 BTU/Cu. Ft., 0.60 specific gravity. Combustion and thermal efficiency determined in accordance with BTS 2000 Testing Standard for Heating Boilers. 1 Add 2/ 3/4″ (70 mm) to TCII-17 & TCII-18 for flue outlet adapter.